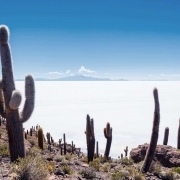 CALGARY, ALBERTA – January 8, 2019 – Lithium Chile Inc. (“Lithium Chile” or the “Company”) is pleased to announce that it has appointed South American lithium expert, Jose de Castro Alem, to the Board of Directors and as Manager of Lithium Operations. Mr. de Castro is a recognized pioneer in lithium brine exploration, development and production in South America. 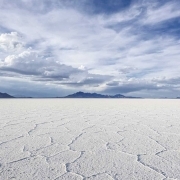 He brings over 20 years of lithium brine experience, as well as a significant track record in the lithium triangle, to the Company’s management team. Jose de Castro Alem’s appointment is subject to regulatory approval. Orocobre Limited (“Orocobre”) – 2010-2015: Mr. de Castro was instrumental in Orocobre’s growth from a sub-$10 million market cap to over $1 billion market cap. During this time, he was responsible for everything from salar exploration to development of evaporation ponds and design/development of the initial plant. Mr. de Castro oversaw the $300 million-dollar lithium carbonate plant from definitive Feasibility Study until complete commercial operation. Mr. de Castro was also extensively involved with building relationships with local communities through to the senior levels of government. He was also involved in the successful joint venture between Orocobre and Japan based Toyota Tsusho Group. NRG Metals Inc. – 2016-2018: Mr. de Castro was Vice President Operations for NRG Metals Inc. and played a key role in NRG Metals’ initial 43-101 lithium carbonate resource report. FMC Corporation (“FMC”) – 1997-2003: During his years with FMC, Mr. de Castro was responsible for the lithium operations and production from the solar evaporation ponds, and lithium carbonate production from the processing plant. Jose de Castro is a graduate of the National University of Salta, Argentina, with a degree in Chemical Engineering. The Company also announces the granting of stock options to purchase a total of 700,000 common shares of the Company, an option to purchase 400,000 common shares to Mr. de Castro and an option to purchase 300,000 common shares to a consultant, subject to regulatory approval. The options were issued with an exercise price of $0.52 per share, vest as to one half (1/2) immediately and the remaining one half (1/2) on the first anniversary of the grant date and expire five years from the grant date. 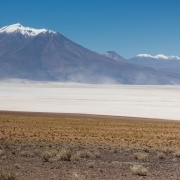 Lithium Chile is advancing a lithium property portfolio consisting of 159,950 hectares covering sections of 14 salars and 1 laguna complex in Chile. To find out more about Lithium Chile Inc., please contact Steven Cochrane, President and CEO via email: steve@lithiumchile.ca or alternately, Jeremy Ross, VP Business Development, at (604) 537-7556 or via email: jeremy@lithiumchile.ca . This news release may contain certain forward-looking information and statements, including without limitation obtaining regulatory approval for the appointment of Jose de Castro Alem and the granting of the stock options. All statements included herein, other than statements of historical fact, are forward-looking information and such information involves various risks and uncertainties. There can be no assurance that such information will prove to be accurate, and actual results and future events could differ materially from those anticipated in such information. Accordingly, readers should not place undue reliance on forward-looking statements. 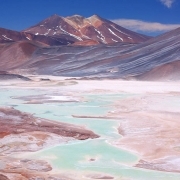 A description of assumptions used to develop such forward-looking information and a description of risk factors that may cause actual results to differ materially from forward-looking information can be found in Lithium Chile’s disclosure documents on the SEDAR website at www.sedar.com. Lithium Chile does not undertake to update any forward-looking information except in accordance with applicable securities laws.